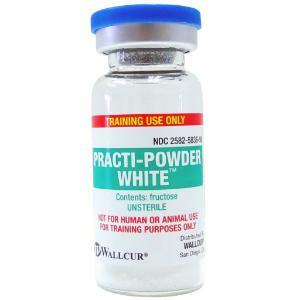 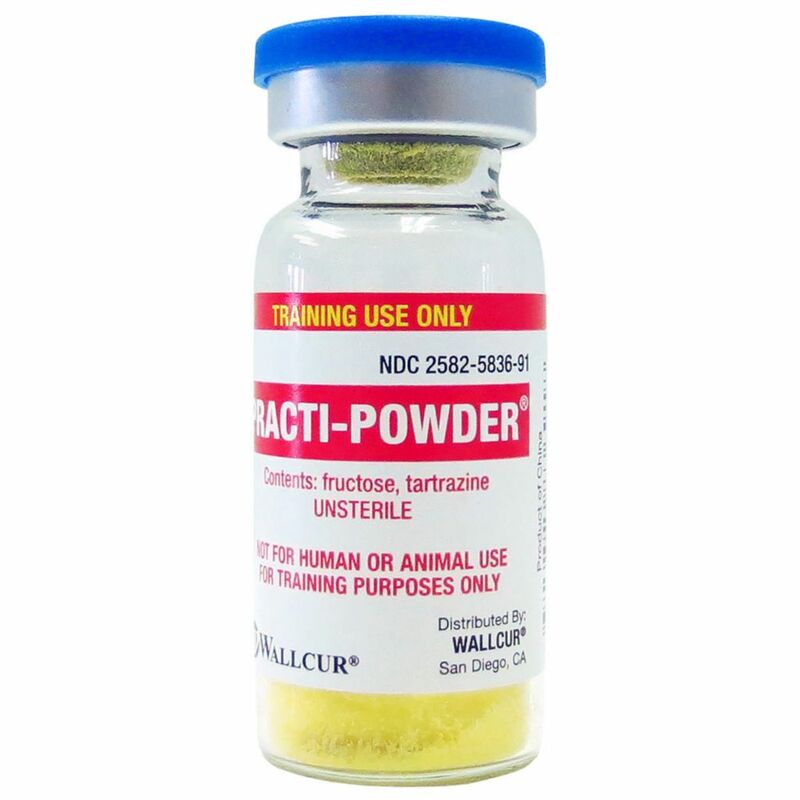 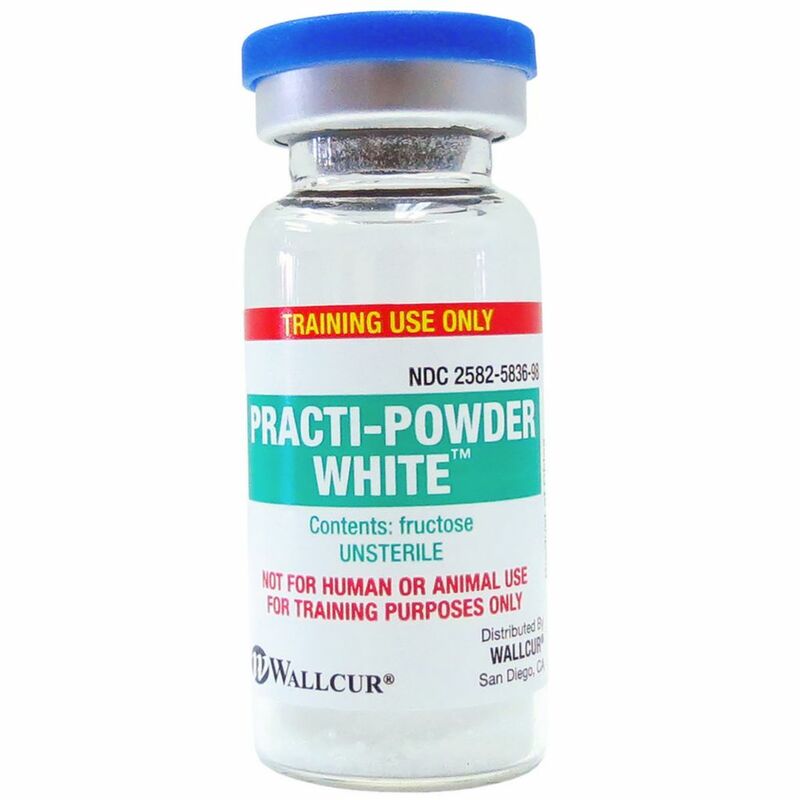 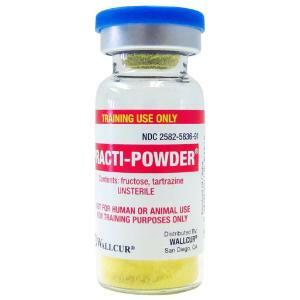 PRACTI-Powder , for clinical training, is a white powder to simulate multiple drug dosages for reconstitution. 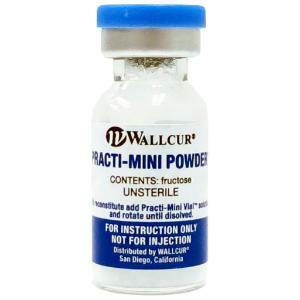 Each vial contains a white powder that dissolves in either 0.9% NaCl or water. 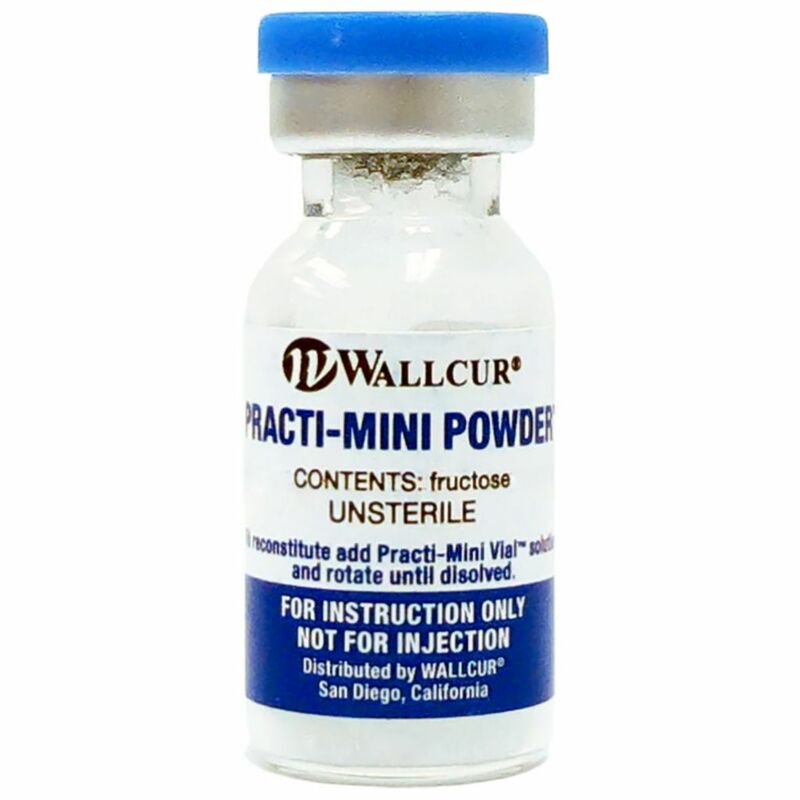 The PRACTI-Powder vial label is designed to accurately reflect multiple antibiotic dosage strength preparations.